In an effort to shake things up, H, K, P and I decided we needed something a bit different for dinner–eschewing the normal curries and pub grub, I suggested a new pop-up place called DF/Mexico. 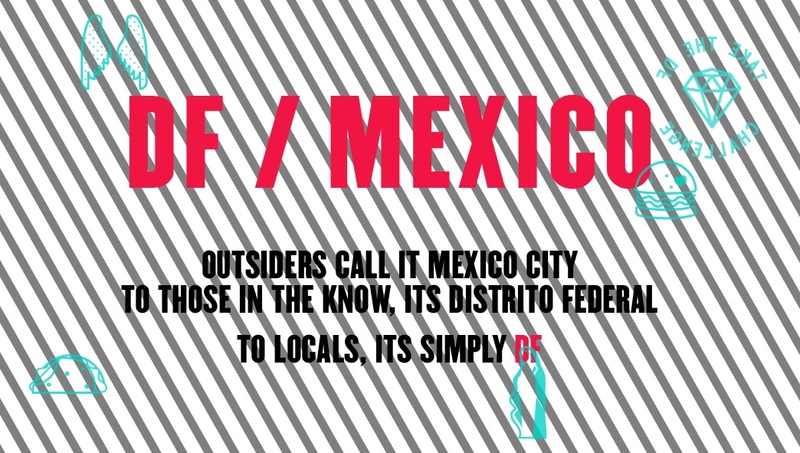 DF/Mexico is run by the same people who are behind the genius Wahaca (which N and I are massive fans of–we even have the cookbook). 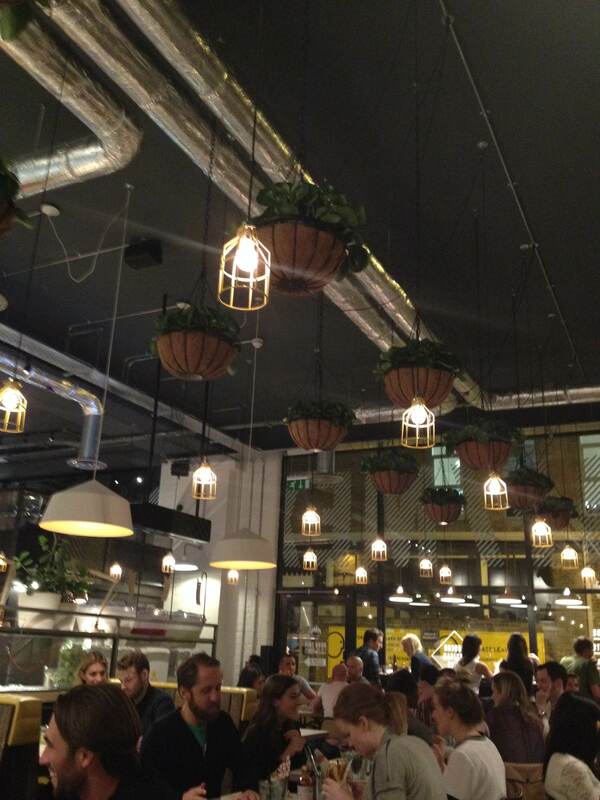 The concept behind this new endeavour is fast, fresh food with Mexican and Tex Mex influences. In other words, it sounded right up my street! The decor was pretty cool and fit in with the slightly industrial surroundings. Though a fairly new restaurant located close to Brick Lane and inside the Old Truman Brewery, DF/Mexico already seems to have a massive following. When we got there (around 8ish on a Friday night) we were told there would be a 30 minute wait. By the time we’d ordered our drinks, our table was ready (hurrah, much shorter wait!). The magic, sadly, ended there. Just as we were being sat, the hostess let us know that they were out of tortas for the night. What is a torta? ‘A Mexican sandwich served New York style in a toasted brioche bun with smashed avocado, slaw and house pickle.’ The one menu item I had my heart set on was sold out by 8pm on a Friday night because they ran out of buns. Really? Better planning needed on that front, I think. K is on a gluten free diet which DF/Mexico happily caters for–however we had to wait longer for the gluten free menu than we did our table. If we’d known that the GF menu was the exact same as the main menu but just with gluten free bread, tortillas etc, we wouldn’t have bothered requesting one. Regardless, we ordered GF veggie nachos, H and K both had GF veggie tacos and P and both had the steak burrito. Ordering. Well, that was interesting. DF/Mexico don’t do table service, possibly because it isn’t ‘hip’ enough for the area. After being seated and figuring out what you want, someone from your table then has to traipse all the way back up to the front of the restaurant to place the order either on the self service machine (yeah, really) or with a hostess (not actually sure what to call them). You get given your drinks and receipt and it’s back to the table to wait for the food. It’s all a bit… bizarre. At one point the queue to place orders was fairly long, snaking around and through the myriad of tables. Our food came out fairly quickly… sort of. H and K’s tacos arrived with the GF nachos, followed shortly by one steak burrito. P, ever the gentleman, insisted I take the one that arrived and that he’d wait on the second one. Ten minutes passed and no burrito. Finally, we flagged down a food runner who insisted they only had one steak burrito on the ticket in the kitchen. Thankfully we’d kept the receipt which he took back to the kitchen to get another one made. Since P and I had the same thing, I split my burrito with him so we could at least have half each while we waited for the second half. Finally, another ten to fifteen minutes later, the manager popped by the table to apologise for the lateness of the burrito (which finally came while he was standing there). He offered us a round of free ice cream which we of course took him up on. The food itself was ok. I love Mexican food and burritos and I’ve eaten (and made) my fair share. 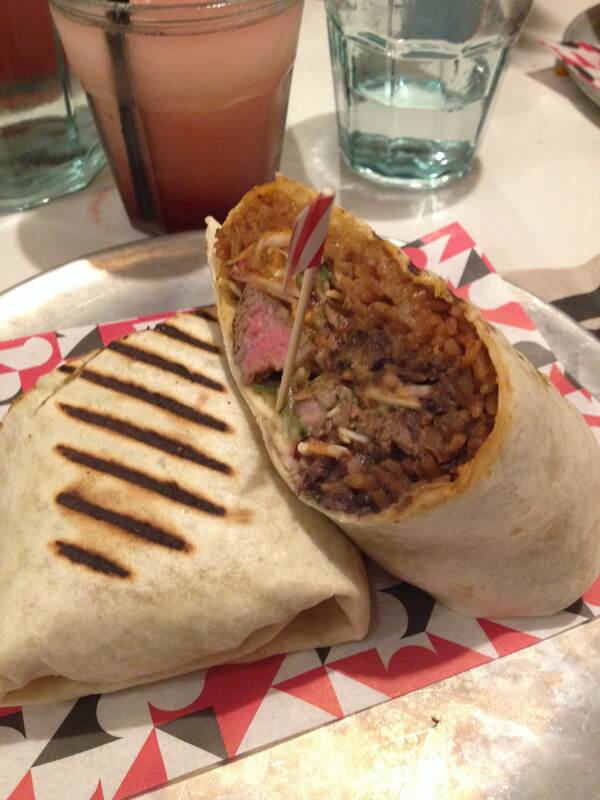 I’m fairly confident that both N and I could make a steak burrito that was better. It wasn’t bad, it was just normal. There was nothing overly special about it, nothing that made me want to get up and dance (like the burritos at Benito’s Hat). 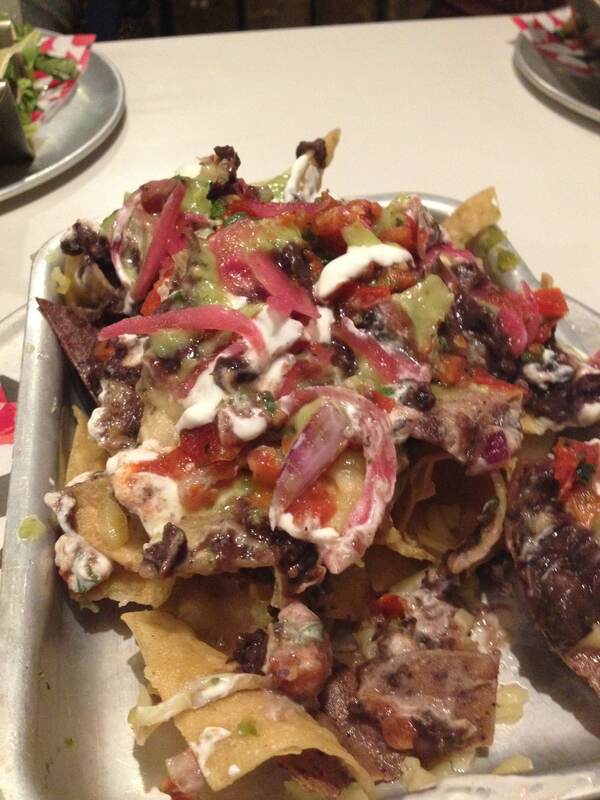 The GF veggie nachos were fine too–again, nothing overly impressive. I think DF/Mexico could be a brilliant place if it were ran a bit more efficiently like its counterpart, Wahaca. Again, the food wasn’t anything special but the location and the buzzy atmosphere make DF/Mexico an ok spot for dinner on a night out. Oh, and the margaritas were pretty damn good. I, sadly, give DF/Mexico a 2.5 out of 5. Maybe I was there on a bad night, who knows? I just know that unless I can be guaranteed a torta, I probably won’t venture back.